WSU Jefferson County Extension provides a number of outreach and educational resources for those interested in water-related resources. Special programs and research-based publications offer guidance for protecting natural resources associated with streams, rivers, lakes, wetlands, estuaries and marine waters. Participants in the Beach Naturalist program learn about our fascinating marine environment. This is a classroom and field training course paired with a 40-hour volunteer commitment. Classes are creative, educational and diverse, allowing volunteers to use their individual interests to improve, maintain and protect Puget Sound through education, community outreach, stewardship, and research. Registration is now closed for the 2019 class. Click on title above to find out more. This joint Jefferson-Clallam class will be offered again in Fall 2019. Participants in the WSU Stream Stewards program learn about our extraordinary fresh water habitats, with a focus on watersheds, streams, salmon and more. This is also a classroom and field course paired with a 40-hour volunteer commitment. Classes are engaging, fast-paced and diverse, allowing volunteers to learn about ecological systems, fascinating natural history and what people are doing to manage and conserve these precious resources. Volunteering is an opportunity to protect and improve Puget Sound through education, community outreach, stewardship, and research. Residents, farmers, and businesses join Shore Stewards to learn better ways of managing their own land to protect local waters and preserve critical habitat for fish, wildlife and birds. 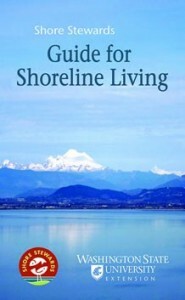 Visit the new Shore Stewards website, download the new updated booklet: Guide for Shoreline Living or watch the new Shore Stewards TV playlist. No volunteer commitment required. Click here to learn more. Whether you’re a homeowner, farmer, citizen scientist, or simply enjoy life-long learning, you’ll find WSU publications, training opportunities, research and programs and timely news on important water-related issues on the website. Topics covered include water quality, conservation and irrigation, landscaping, low impact development and rain gardens, noxious weeds, marine shorelines, climate change, and watershed stewardship. WSU Extension, in partnership with WSU’s world-class researchers, brings you this wealth of water related information on the many aspects of fresh and salt water in Washington state. Local WSU Weather Stations. The Chimacum High School campus houses a weather station which provides state of the art weather information for our community. The new station is part of WSU’s AgWeatherNet which provides access to current and historical weather data from Washington State University’s automated weather station network of 164 stations as well as a range of farm management decision aids. CLICK HERE to access AgWeatherNet then zoom to locate the Chimacum station. SquareONE is a county department specializing in low impact development (LID). They will help local property owners better understand the basic permitting process, and consider storm water management and habitat improvement projects. Port of Port Townsend Environment Stewardship: water quality, rain gardens. Hood Canal Coordinating Council is working to advocate for and implement actions to protect and enhance Hood Canal’s environmental and economic health. Jefferson Land Trust is a private, non-profit, grass-roots organization. Their mission is to help the community preserve open space, working lands and habitat in Jefferson County on the beautiful Olympic Peninsula of Washington State. North Olympic Salmon Coalition is working to restore, enhance, and protect habitat of North Olympic Peninsula wild salmon stocks and to promote community volunteerism and stewardship. Port Townsend Marine Science Center is an educational and scientific organization devoted to understanding and conserving our marine and shoreline environment. www.seastarwasting.org is a group that has been tracking Sea Star Wasting Syndrome. 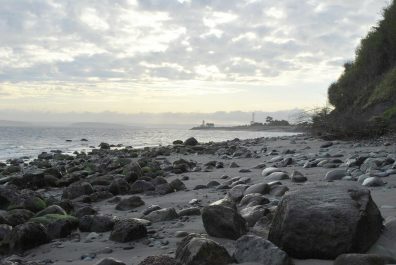 they are a Marine Research Group in UC Santa Cruz that encourages the involvement of citizen scientists in their work. Washington Sea Grant is serving the people who manage, use and enjoy Washington’s ocean and coasts.